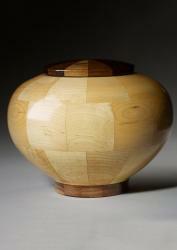 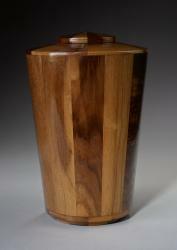 The Mercy wooden urn is part of the Eternal Promise line made up of immaculately crafted pieces at lower price points. 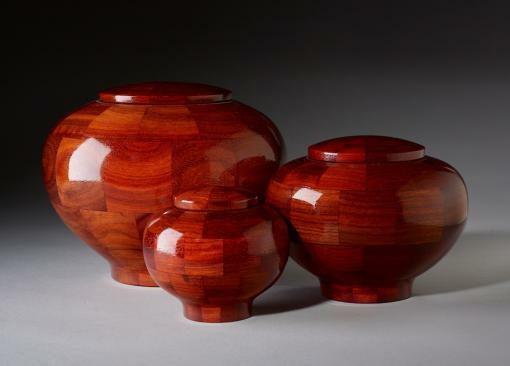 This bowl-shaped cremation urn has been handcrafted and turned by Steve Shannon using vibrant Padauk wood, which is rich with red, orange, and brown tones. 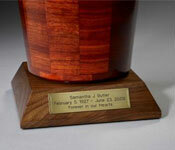 Mercy urns come in three different sizes that can be used for pets, adults, and children. 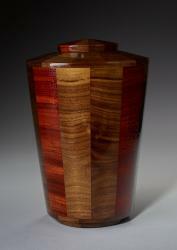 This urn is a beautiful celebration of life. 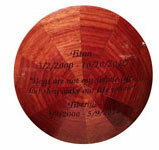 Urn jewelry not included but may be found at Etsy Charmed Wife Shop.